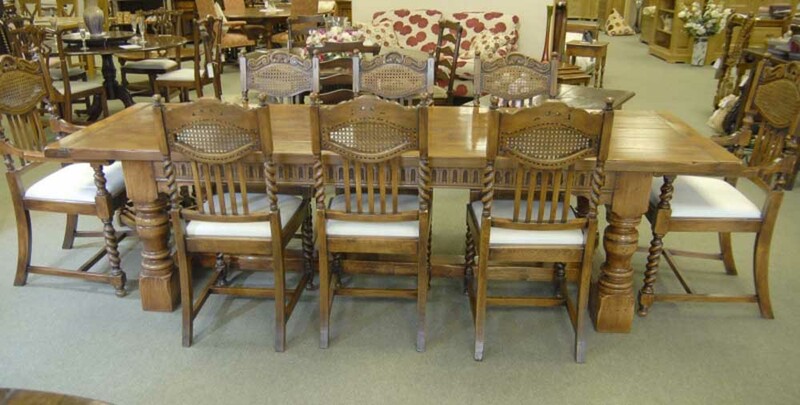 You are viewing a fantastic set of 8 William and Mary style high back chairs. Two arms and six sides. 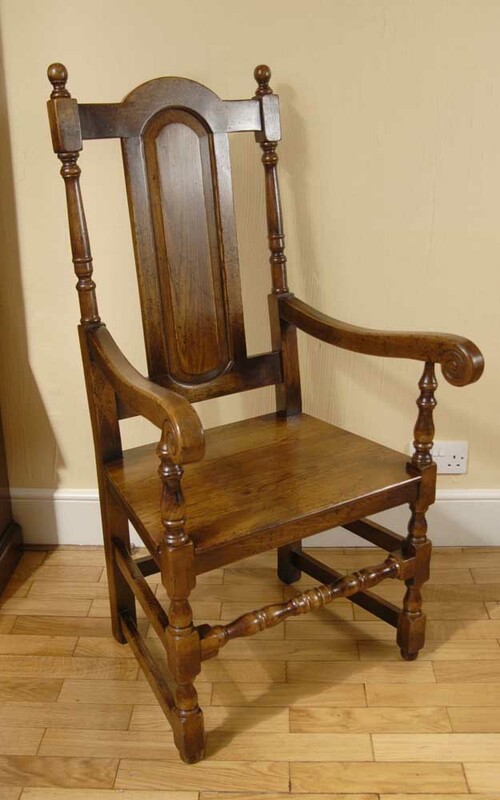 The William and Mary style is from the Tudor era in 17th Century England and again is perfect for those looking for the cosy, rustic, provincial farmhouse look – they also look great in the Great Hall of a castle! These are solid and sturdy, wobble free and very comfortable to sit in – perhaps made even more comfortable with some patterned tie down cushions – a great project for after the purchase so you can match it in with your colour scheme. The chairs are oak and match the table perfectly. They actually have quite a Gothic look to them. They are also incredibly solid and chunky and will last for ever. We bought this set from a dealer in Debenham Suffolk, they are offered in great shape. Get your bids in early. We have pictured these around an English Refectory table we have available to match – great if you are looking for that perfect cosy farmhouse rustic set up for your kitchen or dining room.